Europe Shows Unity Over Alleged Russia Spy Attack, Eyeing Tougher Iran Sanctions - Integration Through Media ....! 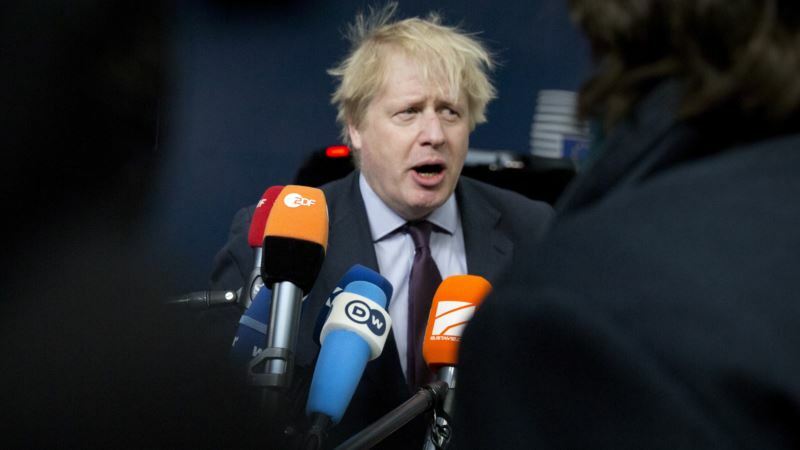 (VOA): European Union foreign ministers took on some hot-button issues Monday, throwing their weight behind Britain which claims Russia is likely behind a poisoning attack on a former spy, and also discussing sanctions against Iran and North Korea. In a statement, the ministers offered full backing to Britain’s claim it was “highly likely” Russia was behind the deadly nerve agent attack against former Russian spy Sergei Skripal and his daughter. Skeptics previously suggested Europe might not be so united. But British Foreign Minister Boris Johnson suggested Moscow’s alleged efforts to sow divisions has failed. “There is scarcely a country round the table here in Brussels that is has not been effected in recent years by some kind of malign or disruptive Russian behavior, and that is why I think the strength and resolve of our European friends is so striking today,” Johnson said. Although there are no current talks about further European sanctions against Russia, the possibility may be up for discussion during an EU summit later this week. Iran was also on Monday’s menu, as the EU looks for ways to save the Iran nuclear deal, which the Trump administration is threatening to withdraw from. France wants the 28-member bloc to consider new sanctions against Iran — a move that might help Washington to remain on board. French Foreign Minister Jean-Yves Le Drian said the EU is determined the Iran deal is respected, but the bloc also needs to find a common response to Iranian ballistic missile proliferation and its contentious role in the Middle and Near East, including Syria. Le Drian also said increased pressure on North Korea is delivering results, as the European ministers met with their South Korean counterpart in Brussels. The EU plans to maintain its current economic restrictions on Pyongyang, ahead of planned talks in May between North Korean and U.S. leaders.